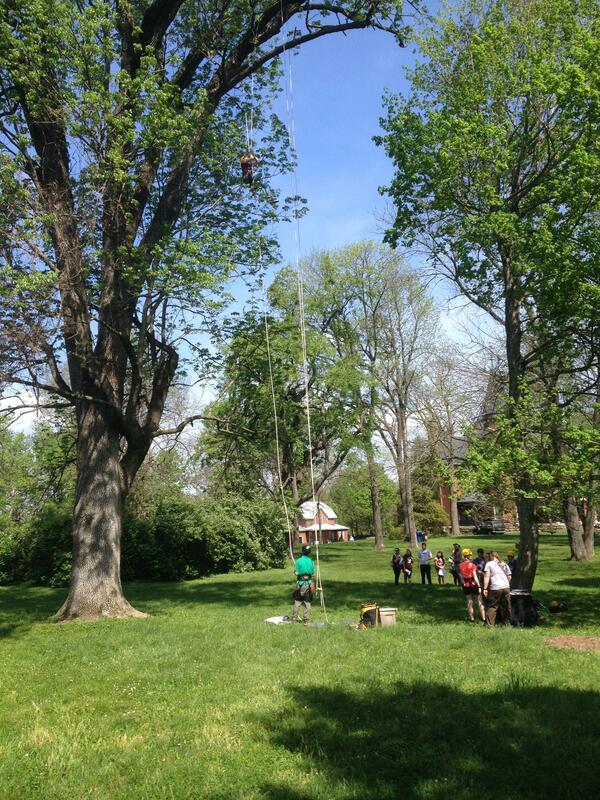 With this month’s Arbor Day recognition fast approaching, officials at Eastern Kentucky University staged various tree related activities at the historic Elmwood estate Thursday. The emphasis was on the American Chestnut. EKU officials recognized the American Chestnut tree with a special ceremony at Elmwood Thursday. In the late 1920’s the American Chestnut blight began it’s deadly march across Kentucky. Efforts are underway today to bring the tree back through a variety of means including genetic modification. Retired long time EKU biology professor Bill Martin says in the early part of the 1900’s, the American Chestnut produced nuts for people and wildlife. Plus it had value for trading and was used to make a popular material. “You could get from an American Chestnut the tannic acid that could be used to take regular hides and convert it into leather,” said Martin. The program at Elmwood included the planting of three ceremonial Chestnut seedlings. A much larger tree planting effort is planned Friday at EKU’s Taylor Fork Ecological Area on the southern edge of the Richmond campus. Randy Wilson, EKU Coordinator for Campus and Grounds says it’s a long term project. “We anticipate in maybe 12 to 15 years we’ll have planted over 6000 American Chestnut and out of that, the survival rate will be about 100,” noted Wilson. The tree planting at Taylor Fork runs from 10:00 a.m. until 3:00 p.m. Friday.